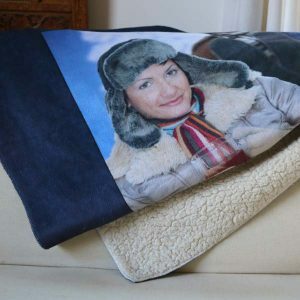 Create a personalized photo blanket to warm your heart and body. Choose from 4 different styles of blankets and many design options. Create for any member of the family and enjoy for many years! Are you looking for a unique accessory that brightens up your home but also adds a little personality and character to your decor? Take a look at our large collection of personalized blankets and design your own collage of photos and personalized text to create a decorative accent that is both unique and practical. Choose from multiple sizes, templates and materials and build a customized photo blanket that’s just right for you. After gathering your photos and selecting the perfect size and style, you are ready to build a custom photo blanket of your very own. With just a few easy steps and your own creativity, you can design the ultimate blanket masterpiece in no time! Begin by uploading your photos directly from your computer to your MailPix photo folder. Then, select your blanket’s style and size. Choose either a portrait or landscape orientation and then pick the perfect template from our variety of custom background colors and patterns. Select from a range of photo and text layouts or customize your own with our built-in toolbar. Afterwards, simply drag your photos onto your chosen layout. Finally, place your order after reviewing your blanket. After receiving your blanket, use it as a stylish couch throw, a cozy baby blanket or give it to someone special as a thoughtful and unique gift that they will always treasure. Our cheap photo blankets are not only an affordable way to add a personal touch to your decor, they allow you preserve your favorite memories for everyone to enjoy. Trying to find the right gift for friends and family can be challenging. Why not give your loved ones something that’s practical and adds elegance to their home décor. Our personalized photo blankets can be designed with a variety of background colors, patterns and photo layouts to compliment anyone’s decorating taste. Maybe you are looking for something special for your Grandparent’s wedding anniversary. Our 50×60 plush fleece blanket will make a cozy addition to their decor and is perfect for displaying their favorite photos from years past. Our cheap personalized blankets are an affordable way to highlight their best wedding and anniversary photos. They will love snuggling up on the couch together with their new decor accessory on cold, winter evenings. Are you looking for a fun gift for your best friend on her birthday? Create a photo Sherpa blanket that displays your collection of photos from your best adventures together. Showcase your treasured hiking photos, beach pictures and fondest memories on a cozy Sherpa that she is sure to love. Not only will she enjoy reliving her favorite moments printed on her blanket, but it will make a stylish throw that she can display on her living room sofa. Whomever you’re shopping for, our project builder will allow you to design a gorgeous blanket that is perfect in every way. Customize a throw with a collection of unforgettable photos displayed on an elegant background for an amazing gift, any time of year. Our cheap personalized photo blankets are not only affordable but make a great gift idea for any occasion. Our fleece blankets are available in two sizes that are perfect for multiple uses. Design a 50×60 fleece for the perfect baby blanket. We also offer a large 60×80 fleece that makes a great bed spread or picnic blanket perfect for a collage of your fondest memories. With a range of sizes and photo layouts available, our classic fleece blankets make the perfect décor accessory for anyone’s home. Add a cozy, elegant flair to any room in your home with our ultra plush fleece photo blankets. 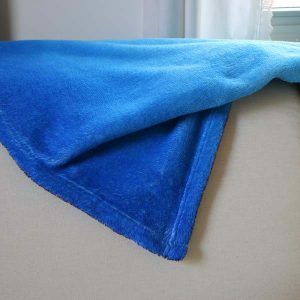 Each plush fleece blanket is made from the softest, premium fleece so you can stay comfortable and warm while relaxing on the family room sofa or watching TV in bed. You can design your own layout and include your own photos to compliment your distinctive style to a “T”. Do you like the stylish look of a Sherpa blanket? Why not design your own and use your creativity to display a collage of your best digital images. Include several photos from the past year that showcase your anniversary, vacation and birthday memories. Our Sherpa fleece photo blanket is sure to add interest to décor and it can be displayed like a throw on your sofa or laid out on your bed for a splash of color. Measuring 50×60, it’s perfect for your favorite living room chair, couch or guest room bed. Make a stylish statement with your home décor, and design your own woven photo tapestry. Print your most memorable photo full sized on your tapestry or even scan your own artwork for a truly unique accessory that provides comfort and adds elegance to any room of your home. With its fringed edges and classic woven look, our tapestry photo blankets make the perfect throw or wall hanging that adds an elegant flair to any room. Whether you are looking to show off your favorite photos in your living room or you want to add a little character to your bedroom, we offer a whole range of photo blankets that can be customized for any decorating style. 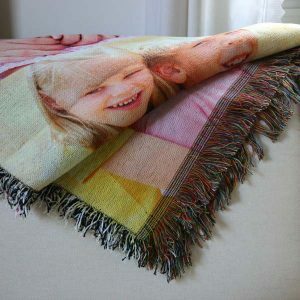 Our photo blankets can be used as couch throws, baby blankets and even wall tapestries that are sure to show off your photos clearly, with rich, bold colors. Display a series of family portraits or showcase your best vacation photos. 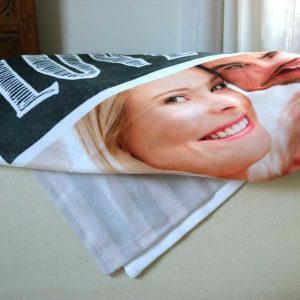 MailPix allows you to design your own cheap personalized photo blankets that are both affordable and stylish. With your new photo blanket masterpiece, you can relive your memories every day just by snuggling up on the couch or reading in bed. If you are looking for an amazing gift, you can browse our selection of blanket materials and sizes and build a special gift for your friends and relatives. Customize it to compliment both their personality and style for a gift they won’t soon forget. No matter the occasion, our personalized blankets are sure to amaze. Add a unique and personalized look to your décor or design the perfect gift with our comprehensive collection of photo blankets, throws and tapesteries that are guaranteed to please, no matter the occasion!